Huong grew up in Los Angeles, and currently works in our Finance department. She performs data entry and makes collection calls to worker’s compensation on behalf of patients. 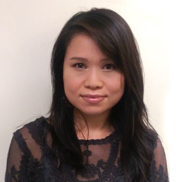 Huong enjoys working with patients, and also loves a perfectly balanced data sheet! She enjoys watching the Lakers, spending time with her family, and shopping for children items in her free time.